Another successful giveaway on the books! Thank you to everyone who contributed to this month’s giveaway. 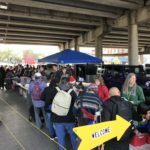 You donated more than 1300 items, ranging from toiletries to reading materials to seasonal clothing and lots of things in between. It’s heartwarming and amazing to know so many people want to make a difference. Today, 114 people benefited from your generosity. If you wanted to donate to this month’s giveaway but didn’t get the chance, don’t worry…we’re doing in again on March 22nd! Now that Spring is on its way, we’ll make a few adjustments to the items we distribute. If you’re ever in doubt, check our Amazon wishlist. Even if you don’t make an online purchase, it serves as a good shopping list when you’re at local stores. 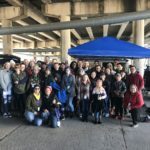 For those people who like to donate their crafty skills, ATXAHH recently started a FaceBook group called Beyond the Basics: A Creative Cohort. 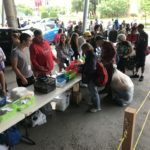 Throughout the year, group members will brainstorm ideas then make special, themed “goodies” or “extras” to share at our giveaways in addition to the basic items we distribute…hence the group name: Beyond the Basics. You don’t have to live in Austin, Texas, to join. 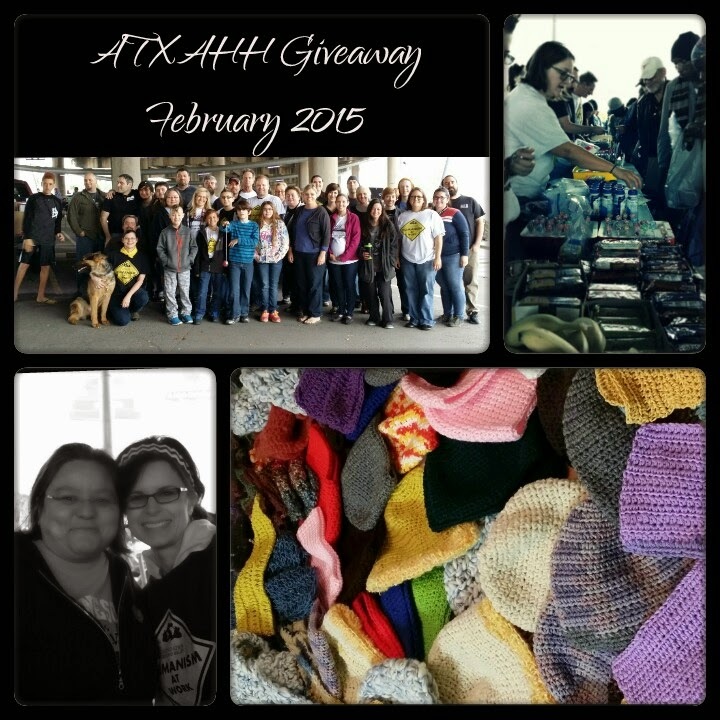 Supporters of secular humanism who live outside of Austin are also welcome to participate and create items. Upon request, a mailing address will be provided so you can send your creations to be distributed at the appropriate giveaway. 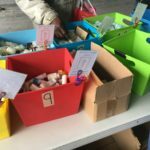 This is a great opportunity for crafters, creatives or people with children who want to make a small, yet thoughtful, difference in the day of someone who is experiencing homelessness. Speaking of craft skills, here’s an activity that isn’t directly related to ATXAHH but we want to spread the word: Artists are planning to create a memorial wall at Community First! Village, Austin’s first effort to house people who have endured chronic homelessness. They’re looking for donated supplies and volunteers to make it a success. If you’d like to learn more or contact them, check out this article. In the meantime, please follow us on FaceBook and Twitter. While this website showcases monthly announcements, the social media feeds provide more information and updates between giveaways. ← All you need is….